AACPS is the fifth largest public school district in Maryland. At any one time, it is educating approximately 82,000 students in its 125 schools, shepherded by its administrative staff spread over nine buildings. Problem: Anne Arundel County Public Schools (AACPS), the fifth-largest school system in Maryland, decided it wanted to add a solar-electric system to is sustainability arsenal. But putting a ground-mounted system on the grounds of its facilities department offered a challenge only an experienced team of engineers could solve. Solution: The administration selected Standard Solar, whose proven track record including New York City and Washington D.C. schools provided them with the experience necessary to turn AACPS’ challenges into money-saving opportunities. Standard Solar’s ability to fund, own and operate the solar-electric system themselves allowed the school to approve this project with virtually no risk to themselves. Under these circumstances, the decision to construct a 1.4 MW ground-mount system was clear. Anne Arundel Public Schools were able to move ahead with a 1.4 MW ground-mount array because Standard Solar’s experienced engineering team was able to overcome the site’s logistical and design challenges. Anne Arundel County Public Schools (AACPS) is the fifth largest public school district in Maryland. At any one time, it is educating approximately 82,000 students in its 125 schools, shepherded by its administrative staff spread over nine buildings. By dint of its sheer size, it is an educational leader in the state, setting an example for other school districts to follow. So when it committed to aggressive sustainability goals in 2013 and included solar in the mix, it sent an important signal to other school districts about solar’s potential benefits. But there was a wrinkle: it was discovered after a thorough investigation, the site produced engineering challenges not just any firm could solve. In addition, without creative financing, the project couldn’t be built. The quest then became finding a partner who could solve both of those challenges. AACPS, despite being a large district, suffers from the same educational-funding restrictions so many schools are experiencing throughout the country. To make a solar-electric system affordable, the district needed to find a partner to fund the project. Standard Solar, a leading solar energy company specializing in the development and financing of solar electric systems nationwide, could solve that problem. With $300 million in backing from its partner Gaz Métro, the company could finance, own, operate and maintain the system. This meant AACPS, under a long-term 25-year power-purchase agreement with Standard Solar, would only have to worry paying for the electricity it used. With the financing piece in place, Standard Solar got down to the business of engineering and building the ground-mounted array. Located on six acres of school system-owned land at the Fort Smallwood Facilities complex in Pasadena, Md., the space presented complex site configuration challenges, but the team of engineers at Standard Solar worked diligently to overcome them. 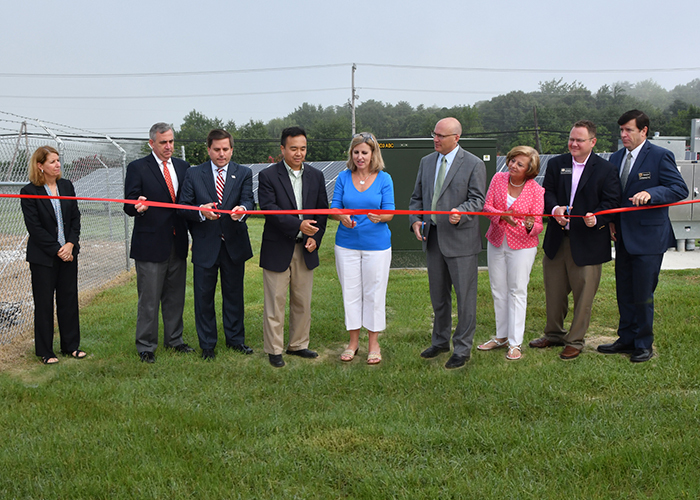 And on Aug. 16, the school district held a ribbon cutting celebration on its 1.4 MW ground-mounted solar array. The completed project features nearly 4,000 panels that will produce 1,971 MWh of electricity annually. According to the school’s calculations, it will also offset more than 41,000 metric tons of carbon dioxide annually. That is equivalent to driving a car around the earth 3,971 times or one year of carbon dioxide emissions from 4,357 homes. Arlotto said the new array brings the school closer to cutting its energy 20 percent by 2021. Standard Solar was pleased with the project’s results and its ability to provide AACPS with smart solar financing. Under Mr. Wiater’s leadership, Standard Solar has been named one of the Fastest Growing Private Companies in America for four consecutive years according to Inc. magazine, significantly expanding its commercial footprint and reinforcing its leadership positioning as the solar partner of choice. 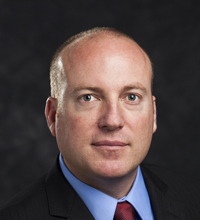 Mr. Wiater has an extensive background in executive management, operations and supply chain management in startup companies as well as established corporations.